While I generally like the first few weeks of the new school year (meeting new kids, feeling refreshed after summer, opportunities to start anew, etc. ), there is one thing that is a struggle without fail every single year: Scheduling. Trying to fit 50/+ students into your week while having to work around PE schedules, computer lab, library, OT, resource schedules, lunch, recess, AND trying to avoid pulling struggling students out of core academics is the stuff nightmares are made out of. And when you think you have successfully figured it out, you realize that somewhere there is a conflict that will make pulling the student out during that time impossible. Over the years I developed a system that makes it easier (although not simple, by any means). 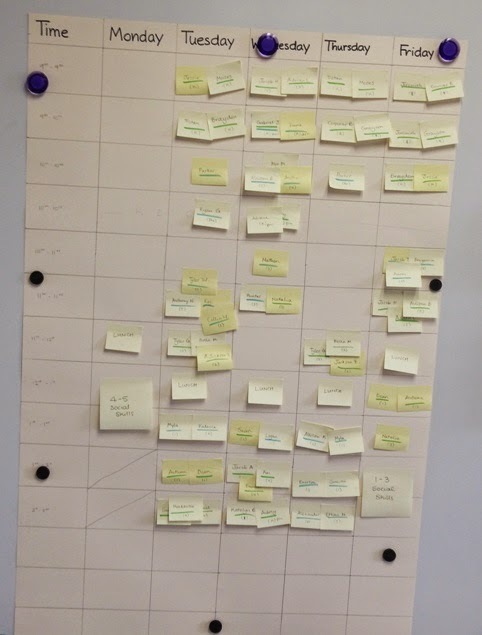 I figured I would write about it to help those of you who are still working on coming up with a scheduling strategy that (sort of) works. ﻿﻿I start by making post-its with all of my students' names, one for each weekly session (so if a student has Speech twice a week, there will be two post-its with their name). I also color code their names based on their needs (language vs. articulation vs. social skills). I begin grouping the post-its based on which students I want to see together. 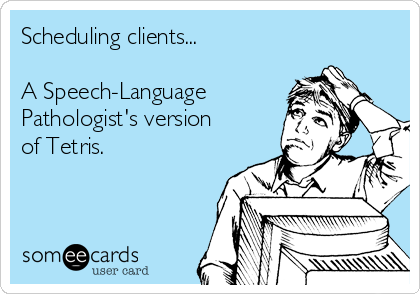 Next, I draw a weekly schedule onto poster board, sectioning off the different time slots for Speech sessions. I then write different teachers' availability onto the sections of the poster board, so that I know which students can be pulled when. Last, I distribute the post-its onto the times that work for a student. 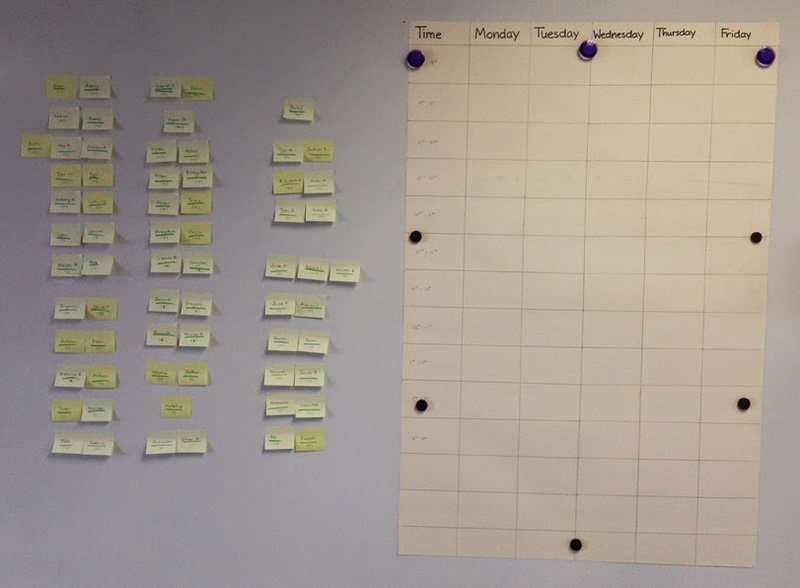 Having the names on post-its works great, since you can easily re-arrange them if needed (and trust me, you need to). I usually try to have some flexibility on Mondays for testing, make-up sessions, consult, writing IEPs, and social groups, since we have so many Monday holidays. I'm always glad when it's over. If you've discovered an easier way to schedule, please let me know! I still have a headache from this year's efforts! Best find so far this school year: Magnetic tape!